The Cambridge CELTA (Certificate in English Language Teaching to Adults) is an initial qualification for people with little or no previous teaching experience and opens up a whole world of exciting teaching opportunities. How does CELTA relate to TEFL / TESOL? TEFL or TESOL are terms often used to describe qualifications for English Language teachers. CELTA, the most widely taken initial TESOL / TEFL qualification of its kind in the world, was previously known as CTEFLA and the RSA certificate. CELTA is accepted throughout the world by organisations which employ English Language teachers and is the minimum qualification required by British Council accredited institutions worldwide. The Cambridge CELTA has been accredited by Ofqual (the Office of the Qualifications and Examinations Regulation) at Level Five on the National Qualifications Framework for England. Cambridge English also works with international ELT organisations to ensure the acceptance of CELTA globally. We run CELTA as a part-time course over 26 weeks from October to May each year. The course runs on a Thursday with classes from 1 pm - 4 pm followed by Teaching Practice classes from 5 pm – 7.30 pm. Teaching practice: You will teach for a total of six hours, working with classes at two levels of ability. Assessment is based on your overall performance at the end of the six hours. Written assignments: You will complete four written assignments: one focusing on adult learning; one on the language system of English; one on language skills; and one on classroom teaching. To be awarded the certificate you must pass both components. 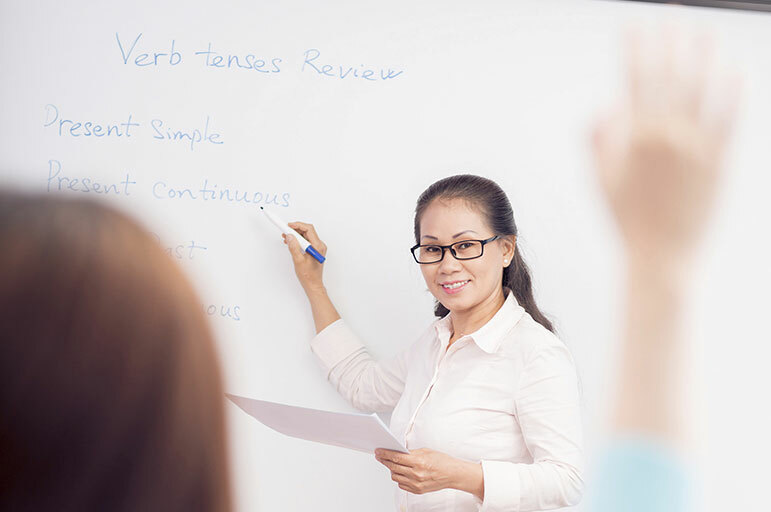 There are three grades — Pass, Pass B and Pass A.
CELTA is an initial teacher qualification in teaching English language to adult international learners. It is required by all institutions who are accredited by the British Council, which may include further and higher education establishments and private language schools in the UK as well as educational institutions worldwide.This course does not currently offer placements. We may still accept you if you do not have formal qualifications at this level but can demonstrate that you would be likely to complete the course successfully. We may, at our discretion, accept applicants aged between 18 and 20. To apply download the Word application form below and return to Nottingham Language Centre. You will also need to download the reference sheet separately to send to your two chosen referees. Please instruct them to email these back directly to Nottingham Language Centre. All submitted applications are reviewed in late August or early September. If you are selected for interview you will be sent a pre-course task to complete. You will need to bring this with you to the interview with the course leader. You may also be invited to take part in a workshop to shortlist applicants. This usually takes place in September. PLEASE NOTE that only a small number of places are available to external applicants as students studying the TESOL (Teaching English to Speakers of Other Languages) also have the opportunity to take CELTA as part of their degree course. If you successfully obtain a place on the course you will be invited to attend an induction day when you will have a chance to find out about the course in much more detail, meet the staff and other students. You will also be expected to enrol and arrange to pay your fees. Tuition fees for October 2019 entry have yet to be finalised. As a guide, the fee for 2018/19 was £1550.00.